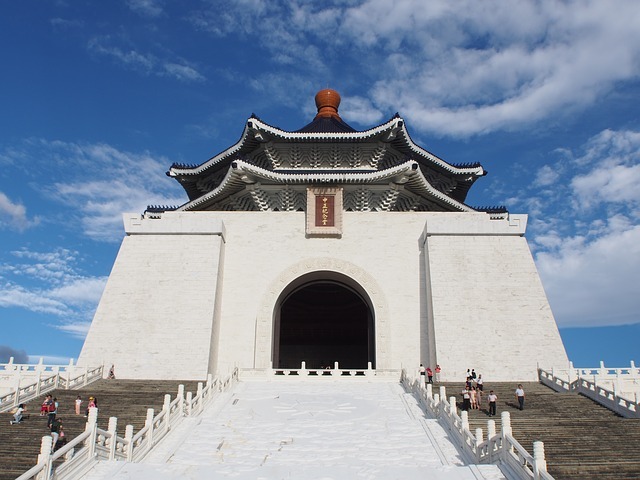 Do you have a layover or only one day to spend in Taipei? If you have 24 hours in Taipei or less, I have put together the perfect itinerary to make the most of your short visit. My one day in Taipei itinerary includes the best things to do, where and what to eat and where to stay in Taipei. If you are flying through Taipei on a 7- to 24-hour layover, Taiwan Taoyuan International Airport offers free half day tours of Taipei. There is a morning tour and an afternoon tour. Here is the link for more information, including the times of the tours and the sites you will see. If you would rather see Taipei on your own or are spending the night in Taipei, here are my top things to do in Taipei in 1 day. If exploring on your own, the Taipei Metro system (MRT) is the best way to get around Taipei. The MRT is clean, safe and easy to use with English signs. If you plan to take several rides on the MRT or buses, consider purchasing an EasyCard. The EasyCard allows you to touch on and off without buying tickets each time so you don’t have to worry about having the correct change for each ride. For short distances, walking is very pleasant. Taxis are metered and easy to hail and are also a good option for getting around. 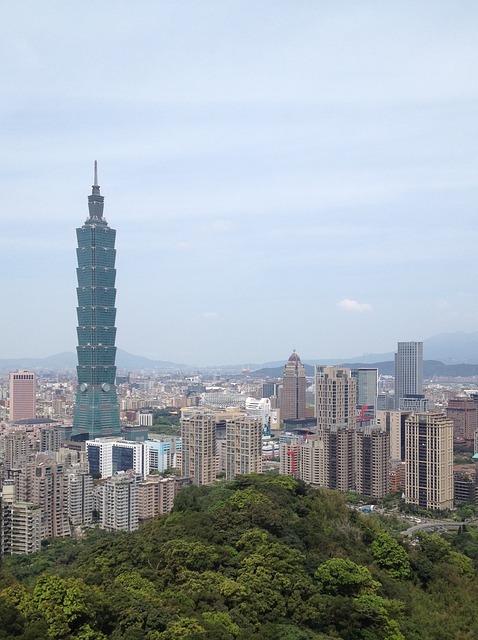 If you enjoy a good city view, visit Taipei 101. Taipei 101 is one of the tallest skyscrapers in the world (it used to hold the record for the tallest building in the world). It is named Taipei 101 because it has 101 floors. There is an indoor observatory on the 89th floor with a 360 panoramic view of the city. The bottom floors of Taipei 101 have a food court and a mall so you can do some shopping or just browse (as most stores are fairly pricey). For more information on the Taipei 101 see the Taipei 101 website. 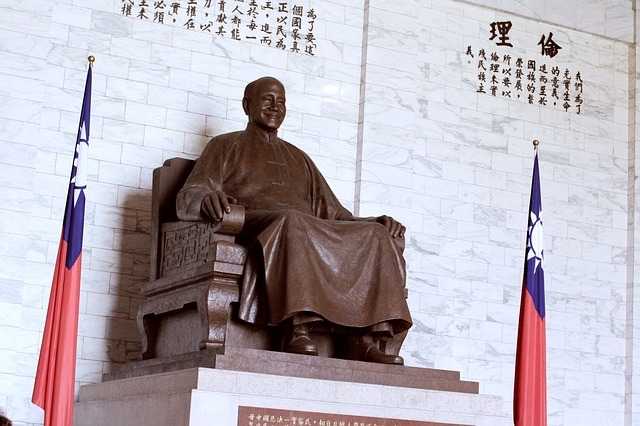 The national monument and landmark was erected in memory of Chiang Kai-Shek and there is a large statue of him in the main hall. A changing of the guards ceremony takes place inside the Memorial Hall every hour. The Memorial Hall is right next to the National Theater and Concert Hall. The grounds are large so I recommend wearing comfortable walking shoes. Chiang Kai-Shek Hall is easy to reach by MRT as it has its own Chiang Kai-Shek Memorial Hall MRT station. Din Tai Fung is famous for its dumplings. Din Tai Fung has restaurants/outposts all over the world but the original location is on Xinyi Road in Taipei. There is a long line but there are a few other locations in Taipei including one in Taipei 101 that have a shorter wait. Visiting temples is another popular and free thing to do in Taipei. 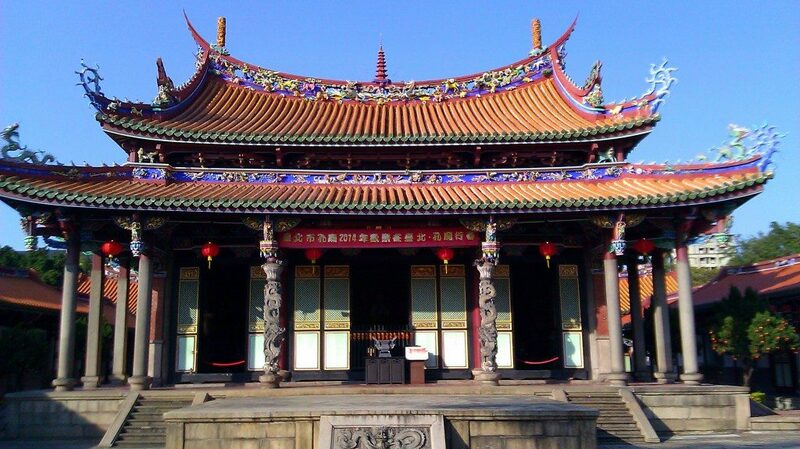 Taipei has some interesting temples including Longshan Temple, Baoan Temple and the Confucius Temple. Longshan (or Lungshan) Temple is a multi-denominational temple and is one of the oldest temples in Taipei. Longshan was crowded with worshippers praying during my visit and I even ran into a service. 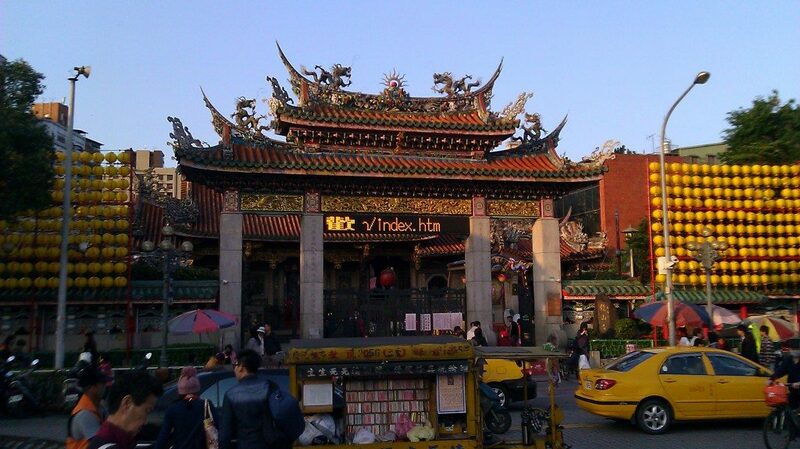 Longshan Temple is located right next to the Longshan MRT station so it is easy to visit. While called a temple, the Confucius Temple is technically not a place of worship but rather an educational center honoring Confucius. Simplicity is the dominant characteristic of this temple because Confucius valued simplicity. The Confucius Temple is not as ornate as the other temples I saw but the temple and its grounds are a peaceful break from the city. Dalongdong Baoan Temple also known as the Baoan Temple is right across the street from the Confucius Temple so both temples can be combined in a visit. Baoan was beautiful and ornate and it was my favorite of the three temples. The Confucius and Baoan temples are about an 8 minute walk from Yuanshan Station. Taiwan is a foodie paradise and one of the best things to do in Taipei is visit night markets. The great thing about eating at night markets is that you can walk around and sample a bit of everything. There are many night markets in Taipei. The most famous and also the largest night market in Taipei is the Shilin Nightmarket but it does get very crowded. 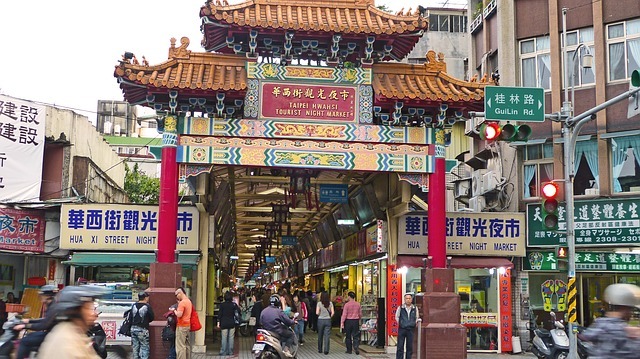 Conveniently located near Longshan Temple, Snake Alley (also known as Huahssi or Huaxi Night Market) is another interesting yet touristy choice which is most well known for its snake delicacies including snake soup. If there is one dish you must eat while in Taipei, it is beef noodle soup (referred to as Taiwan’s national dish). Some Taiwanese foods I recommend you try at the night markets include oyster omelet, Taiwanese fried chicken and braised pork rice. If you are feeling adventurous, try some stinky tofu. Make sure to also drink some bubble milk tea (which was invented in Taiwan) and pick up some pineapple cake for dessert (buy a few as they make great souvenirs). W Taipei. If you are looking for a luxury hotel, W Taipei is one of the best hotels in Taipei. It is conveniently located near Taipei 101 and has a great outdoor pool. Click here to see the latest prices. Dandy Hotel – Tianmu Branch is a good value hotel with great breakfast and clean rooms. Click here to see the latest prices. Gloria Residence. This is a great choice for families and those visiting long term. Has a full kitchen and washing machine. Click here to see the latest prices. Bouti Capsule Inn. Bouti Capsule Inn is a hostel that gets good reviews with a convenient location close to the Taipei Main Station and free breakfast. Click here to see the latest prices. For more hostels options, here are some of the best hostels in Taipei. 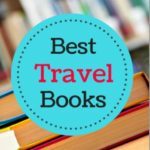 These are my top choices for the best things to do in Taipei if you have only one day. 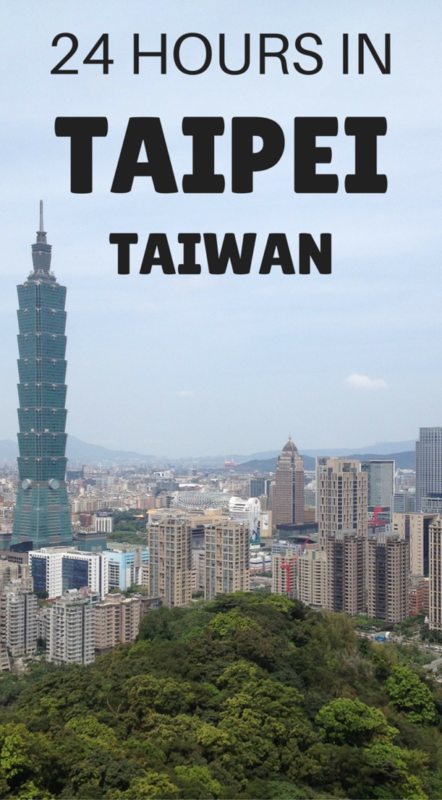 Have you visited Taipei? If so what would you recommend first time visitors see if they only have a day? It’s surprising how much you can do in a day! The beef noodle soup sounds so good! Night market looks amazing. That would be first on my to do list! 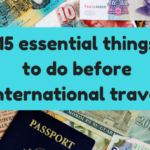 I would be all over those famous dumplings, and the night market is a great idea – you have to make the most out of your short trip! Loved these ideas! The night market and memorial hall look so interesting. It is nice knowing you can do so much in 24 hours! Taipei is on my bucket list! So happy to learn more about it! 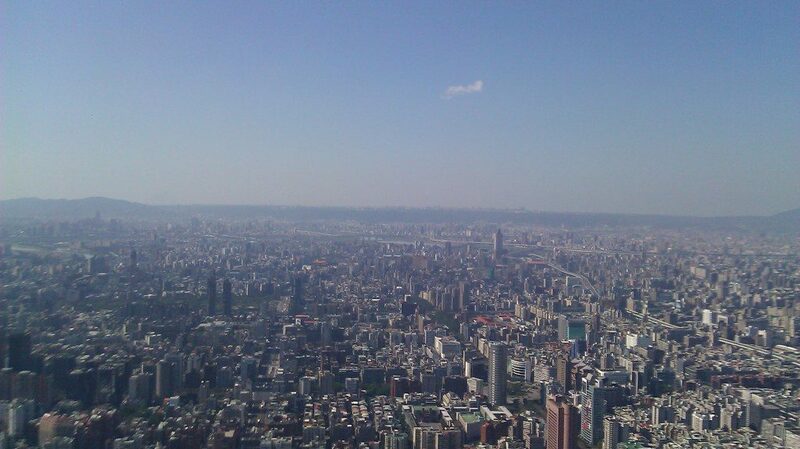 If the weather is great Taipei 101 is amazing. We went during the winter and had to change our schedule to visit because, twice, the weather was a bit too cloudy.